As the power and force of market culture, that is, the values of consumerism continue to penetrate the standards and priorities of the country’s tourism industry, ancient traditional dances, poetry, drama, songs, food habits and language among other IP traditional culture is slowly losing its authenticity. Given the constant cultural bombardment brought by a market-based globalization, there are genuine fears that native traditions maybe overwhelmed by the fusillade of the “I SHOP THEREFORE I AM” syndrome. This syndrome has constantly outgunned the Tingguian’s and Itneg’s of Ilocos Norte as they struggle to preserve and carry the cultural traditions they have inherited from their ancestors. Believe it or not, Ilocos Norte tribal leaders opined that IP culture in this part of the country is fast diminishing. Most of their traditional methods of healing, weaving, speaking, arts and music, chants and dances dangle to remain as tourism flourishes in the province. A closer look of the NCIP documents will show that tribal leaders are one in saying that IP cultural promotion and preservation leaves much to be desired. 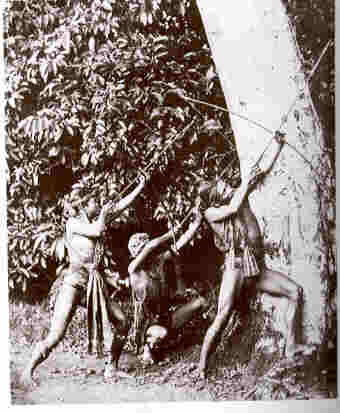 The worship of the Kabunian, the use of the native Tinguian and Yapayao dialect, the tune and melody of their traditional musical instruments, the chants and the dances now hangs by a thread. Without the few old IP folks, IP culture in Ilocos Norte is nothing but nil and forgotten. Mindful of the efforts of Governor Imee Marcos to improve tourism in the province, it had invested much to promote and market the breezy beaches of Ilocos in particular her pet project Paoay Kumakaway, rehabilitation of man-made tourist sites, revitalization of infrastructure and information communication facilities among others that cater to the growing number of tourists. The IP communities, on the other hand, are in urgent need of relief as they grumble from lack of financial and technical assistance. Losing, declining and swimming in destitution, they continue to suffer from the anomaly of commercialization which make it more possible for them to preserve their identity, unique characteristics and traditions. As the Ilocos region takes pride in its tourists destination packages, commercialization of indigenous people’s arts rarely share the profits with the IPs. Aside from the fact that they are displaced from their traditional lands, they also suffer from the intrusion of political undesirables surrounding them. And as there is no sectoral representation in the Provincial Board for Indigenous People’s interests, despite the fact that four of the municipalities of the province are home to a significant number of IPs, the absence of representation seem to justify the perception of tribal leaders that they are the most marginalized sector and the least priority of the province. With the concerns pounding the cultural minorities, the genuine ‘rimat ti amianan’ (treasures of the north) is too much for us to ignore. God and nature have endowed us with enormous wealth both and under the surface of the earth. It is our primary responsibility to see to it that IP’s are not abandoned in our quest for social and human development. The advancement of IP cultural life requires our careful attention, and we must not exclude them from the cultural connections they have reason to seek. In order to preserve the sanctity and prestige of the ‘katutubo’ way of life, tourism planners and organizers should desist from the practice of superficially showcasing IP cultural way of life. As practiced, programs organized by local governments participating in the ‘rimat ti amianan’ festivals, IP cultural arts and literature advocates observed a colorful spell of fiction and fantasia in these programs. Choreograph and organized in a manner so fantastic, it does not reflect the authenticity and genuineness of IP social life and as they merely arrange it for the purpose of display, art’s for arts sake, they fail to convey the meaning and significance, the beauty of indigenous people’s way of life. Some if not all, treat the ‘katutubo’ way of life as mere entertainment, these organizers or shall I say pot-boilers or traders unduly alter the natural expressions of IP social life. Not a bit less, they chisel the culture in a bad taste to make money. One time an IP friend told me when they went to visit the department of tourism in their Manobo clothes; they were being laughed at and jokingly asked ‘where is the show?’ Because of that they immediately left the office charged with profound pain as they expected the office to be the vanguard of the natural expression of IP social life. Lamenting that tragic discontent, I remember her saying that, at the expense of commercialization indigenous expressions had fallen to government policies that tend to ignore the natural expressions of IP social life. Commercial tourism indeed is destroying the cultural integrity of indigenous people’s way of life. It continues to damage the confidence of my fellow IPs. With this near total ignorance of the natural beauty of indigenous culture, the predilection of tourism planners to exploit the utility of IP culture implies the need for them to revisit and rethink the real values of these cultures. The propensity for trading cultural values for monetary considerations for purposes of trade and development though is not disparaging; it is our moral obligation, however, to preserve the existential value of these cultures. We should remember that Indigenous peoples arts, dances and literature is a portrait of real life – a bold and powerful external expression of the human spirit and natures breathe of life. This benevolent grand flow of the human spirit should be made in a way to inspire people to live collectively. We should invest more with the end in view of promoting the welfare of the indigenous people. In the words of Prabhat Ranjain Sarkar, the dynamism of cultural expressions if portrayed in a manner so flawless can offer us a garland of glory capable of illuminating people who presently remain in the whirlpools of darkness. Thus, let us use our creative talent as we explore the many possibilities that Indigenous peoples’ culture can offer us.